Taoiseach Leo Varadkar is in Madrid today to meet the new Spanish Prime Minister, Pedro Sánchez, as part of the Government's Brexit lobbying effort. Mr Varadkar is the first leader to meet with Mr Sánchez since he was sworn in as leader of the Spanish government on June 2. 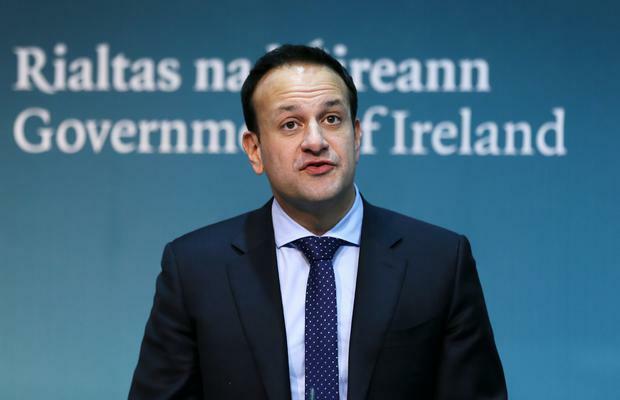 Irish officials said the two premiers would discuss a number of key issues, ahead of the June European Council in a fortnight's time. In the Dáil yesterday the Taoiseach again said the British government must acknowledge that it cannot have things both ways on Brexit. "I think the UK needs to make decisions and make some choices. They continually seem to have internal debates," Mr Varadkar said. The Taoiseach's comments came as UK Prime Minister Theresa May remained in a confused position over her handling of the Brexit talks. But amid ongoing debates in the British parliament, the Labour leader, Jeremy Corbyn, faced his own difficulties as many of his MPs backed a close EU-UK link after Brexit. This adds to confusion ahead of the EU leaders' summit on June 28 and 29 where the agenda will be topped by Brexit and also plans for the future of Europe. The Taoiseach and the Spanish PM will also exchange views on bilateral relations between Ireland and Spain, and a number of important foreign policy issues. Mr Varadkar, accompanied by EU affairs minister Helen McEntee, will also attend an event with Spanish-Irish businesses. The Taoiseach said the Madrid visit was an excellent opportunity to meet Mr Sánchez at the start of his term in office. "Ireland and Spain have long-standing and friendly relations and we work closely together on EU issues," Mr Varadkar said. "We both have a pro-European outlook and are ambitious for the future of our Union. "I will brief Mr Sánchez on Ireland's unique concerns regarding Brexit, and the need to ensure that the commitments secured from the UK last December are translated into the withdrawal agreement. "Spain and Ireland both want the future relationship between the EU and the UK to be as close, comprehensive and ambitious as possible." Mr Varadkar last night told his parliamentary party that his visit to Northern Ireland last week was a big success. He said both sides of Belfast "are crying out for leadership". The Taoiseach cited recent polls on a united Ireland, saying they suggested the "plates are shifting in Irish politics". While in Belfast he said it was not the time to be talking about a border poll as it would be unlikely to pass. Speaking ahead of the Madrid visit, Ms McEntee said it was important Ireland engaged with the new government to reaffirm priorities regarding Brexit while discussing the close relationship and ties between Ireland and Spain.